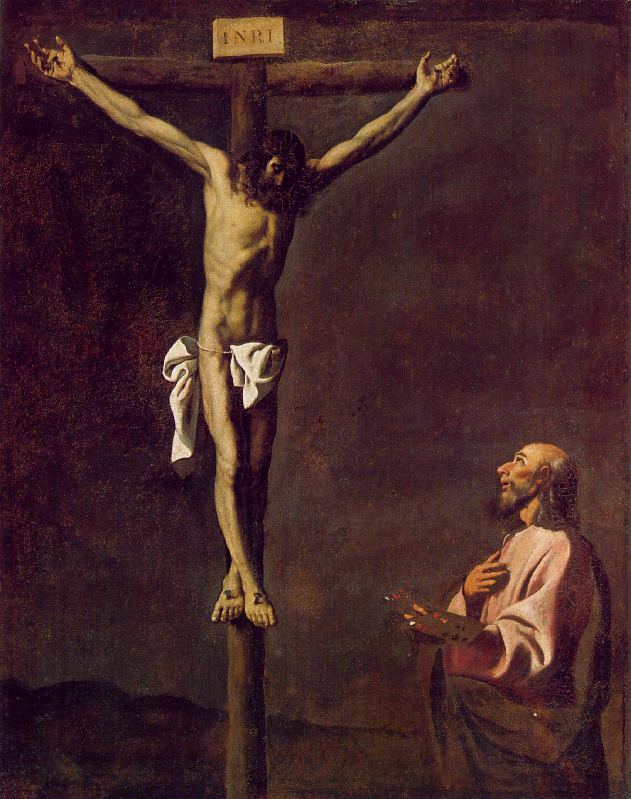 Zurbarán, Francisco de (b. 1598, Fuente de Cantos, d. 1664, Madrid) Spanish painter, born at Fuente de Cantos and active mainly in Seville. 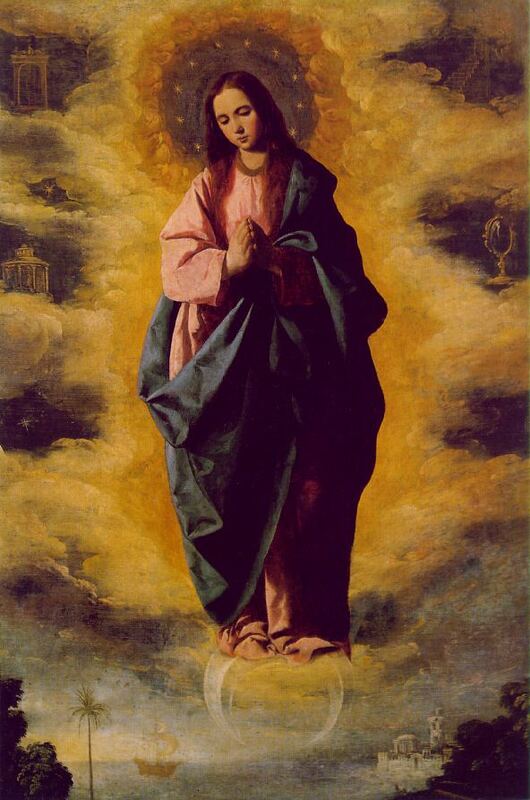 He trained there 1614-17 and after a period at Llerena near his birthplace returned in 1629 as town painter. In 1634-35 he was in Madrid working for Philip IV on a series of ten pictures on The Labors of Hercules and a large historical scene, The Defense of Cadiz (all now in the Prado, Madrid), but apart from these pictures, a few portraits, and some masterly still lifes, he devoted himself almost entirely to religious works. He worked for churches and monasteries over a wide area of southern Spain and his paintings were also exported to South America. His compositionally simple and emotionally/direct altarpieces, combining austere naturalism with mystical intensity, made him an ideal Counter-Reformation painter. The most characteristic of his works are the single figures of monks and saints in meditation or prayer, most of which seem to have been executed in the 1630s. The figures are usually depicted against a plain background, standing out with massive physical presence. Many of these monumentally solemn figures are conceived in great series, such as The Members of the Mercedarian Order (Academy, Madrid), or The Carthusian Saints (Cadiz Museum). But there are single pictures of the same kind. He painted numerous pictures of St Francis , for example (two in the National Gallery, London), and a number of virgin saints. 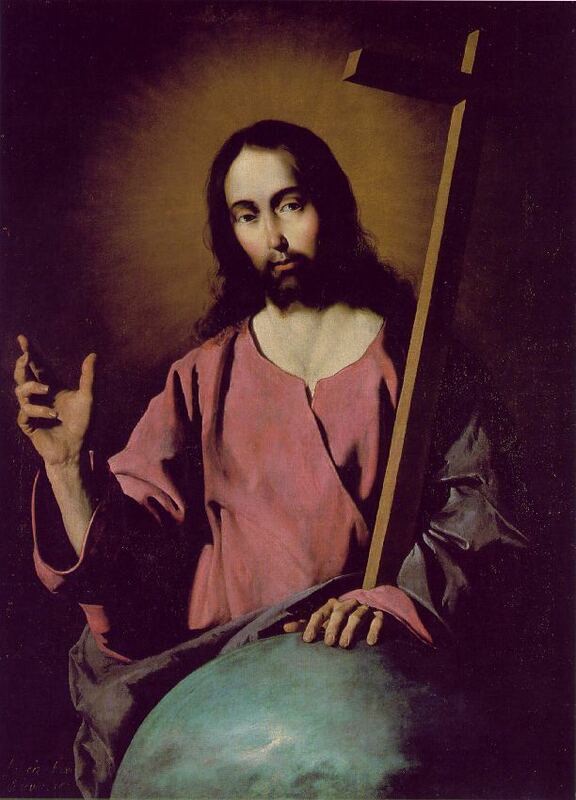 Towards the end of his career, Zurbarán's work lost something of its power and simplicity as he tried to come to terms with the less ascetic style of Murillo, who in the 1640s overtook him as the most popular painter in Seville. In 1658 he moved to Madrid, where he spent his final years. 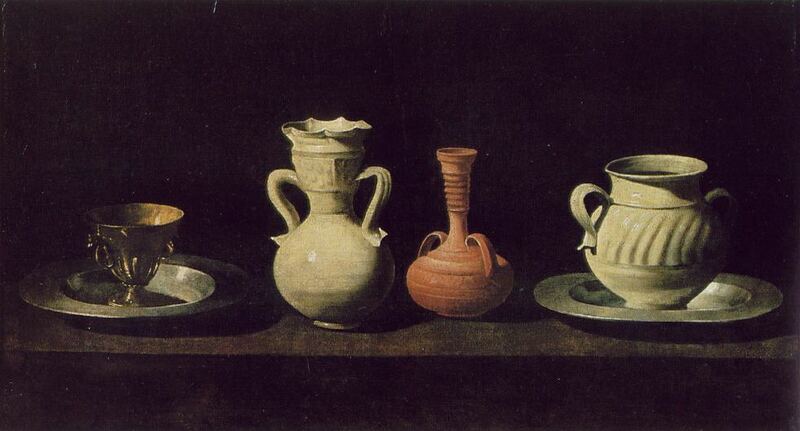 His son Juan (1620-49) is known from a few still-life paintings.